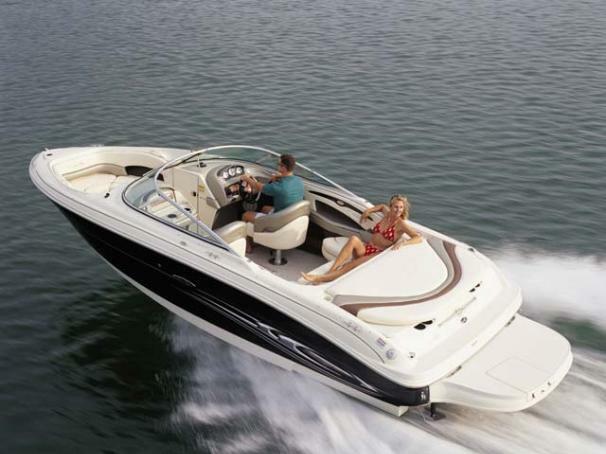 Boat Description There`s no mistaking the 240 Select`s winning combination of striking, good looks and impressive power. Available in your choice of five, dynamic gel-coat colors, this beauty is ready to go with a standard 5.0L MPI 260 hp Bravo III MerCruiser stern drive engine. Select the Executive Series shown here, and you`ll get lots of extras including an upgraded stereo with premium subwoofer, a stainless steel windshield and an on-board compressor for inflating water toys.